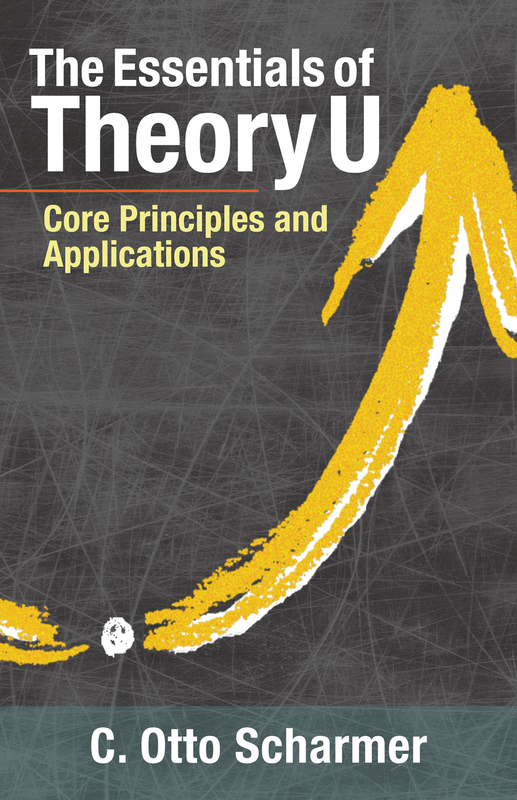 Here is a guest post from Otto Scharmer's new book The Essentials of Theory U. This book should be at the top of your reading list and this post will give you a taste of the great nuggest in his book. The essence of the U process is to strengthen our ability to be present and consciously co-create. Just as Ed Schein’s approach to process consultation (PC) starts with the principles “Always try to be helpful” and “Always deal with reality,” the U process of presencing starts with the primacy of attention and intention: “Listen to what life calls you to do.” Or, in the words of Martin Buber: “[She] listens to what is emerging from [herself], to the course of being in the world; not in order to be supported by it, but in order to bring it to reality as it desires.” The U method is firmly grounded in process consultation as one of its principal parent disciplines. The second domain of listening takes you out of your familiar world and to the edges and corners of the system. Connect and talk to interesting players in the larger eco-system of your relationships. Talk to both the visible core players and the less visible ones— including people from marginalized and underserved communities that do not have a voice in the current system. As you proceed on your mini-journey, let yourself be guided by the field. Focus on emerging opportunities. The most important helpers, partners, and guides often turn out to be different from what you expect; therefore your inner work is to stay open to suggestions. Convene a constellation of players that need one another to take action and to move forward. The opposite of co-initiation is marketing—getting people to “buy in” to your idea. That almost never works because it is just your idea. So part of the art of convening these players is to loosen your own grip on the idea— without necessarily giving it up. You lead by painting a picture that is intentionally incomplete; you make a few strokes and you leave lots of blank space so that others can make a contribution. In this way you shift the power dynamics from individual to shared ownership, and from ownership to belonging, to seeing your part in a larger social field. The quality of the impact of your initiative depends on the quality of the shared intention by the core team.